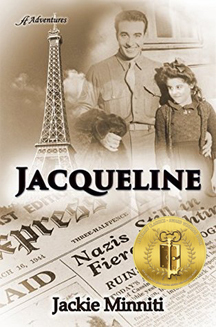 Jackie Minniti's novel, Jacqueline, has received the gold medal for historical fiction from the Literary Classics Book Awards. All silver, gold and Top Honors award recipients will be invited to attend a round-table discussion, awards ceremony, formal gala, and authors’ book signing in Las Vegas October 13 through 15, 2016. Congratulations to Jacki Minniti. If you'd like more information about her book, use the links below.